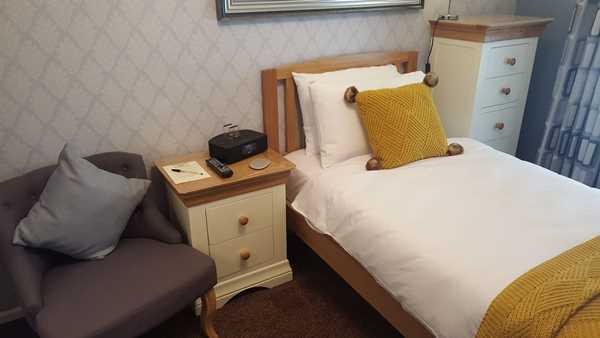 Our single room is located on the first floor with an external shower room solely for the use of the single room. 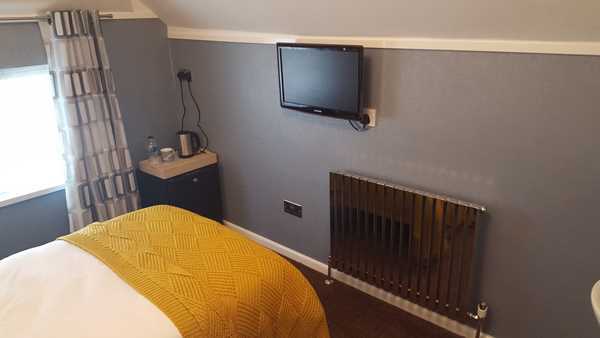 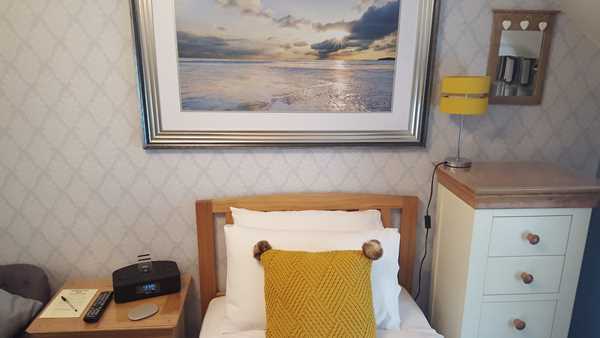 The room offers a pocket sprung single bed, robe, slippers, hair dryer, silent running fridge with fresh milk and refreshments, along with a well-stocked selection of teas, coffee, biscuits. 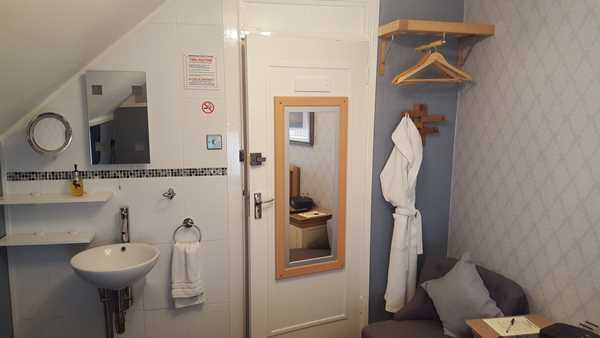 The shower room has a walk in shower along with large fluffy towels and a full range of toiletries.